Prebuilt Software is ready to go with no software development time. This may mean less up front expense but the software is less likely to fit your specific needs. 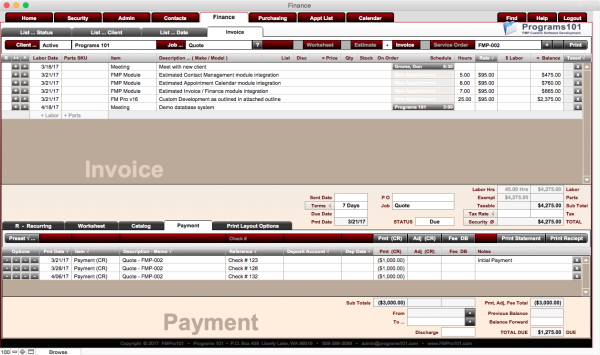 Your business must conform to the software and as your business grows the software can lose much of it's initial value. While there are individual benefits to either Prebuilt or Custom Software ... we offer a unique way to obtain the benefits of Both. With our advanced program modules you'll have the benefits of a prebuilt app without sacrificing custom development features. ​​We've refined the best of our FileMaker database solutions over the years to create a suite of advanced templates and modules for use as a starting point. These starter templates can be used individually to create distinct software apps or together as a complete unified business program. 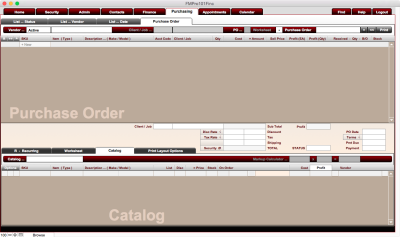 They can also be integrated into other FileMaker programs and are completly customizable. Nearly all of our development projects begin with our modular database system ... providing the framework and core database tables required in most programs. You too can take advantage of these pre-built modules to kick start your own custom development project. Starting with a core system saves hours of development time and provides the proper structure for a successful software application. Learn more about our Modular Database System. Whether starting from our prebuilt modules, FileMaker's starter solutions, your own custom program or completely from scratch ... we can develop anything within the realm of possibilites. We focus on one thing only ... FileMaker software development. Since 1999 we've been designing and building custom database software programs on the FileMaker platform and are experts in every aspect and nuance of FileMaker. We develop custom software programs for office, personnel management, contacts, record keeping, appointments, scheduling, billing, purchasing, project tracking, image storage, document management, paperless filing, reporting, printing and more. We are committed to excellence in software development and technical support. 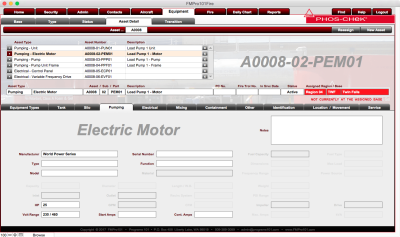 We strive to produce the highest quality and easiest to use software programs available. 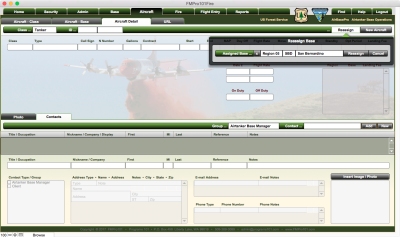 Objectives / Features ... manage flight entry details including flight times, expenses, fire retardant volume & costs, aircraft management, regional expenses, base operations, fire management, reports, Excel exports, advanced security for user & computer level access, regional & base specific privileges, contact & staff management, tabbed interface, fire fighting image backgrounds, fast single layout flight entry, multi-user environment, cross platform Mac, Windows & Web Browser access, remote server with FM Server v16. Objectives / Features ... manage fire retardant distribution, load volumes & costs, supply base operations, chemical distibution & transportation, trucking & equipment management, fire retardant tank storage, asset management, reports, advanced security for user & computer level access, regional & base specific privileges, contact & staff management, tabbed interface, multi-user environment, cross platform Mac, Windows, iPad & Web Browser access, onsite server with FM Server v16. 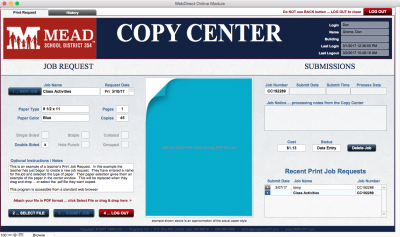 Objectives / Features ... centralized copy & print services, teacher's print job requests using standard web browsers, separate teacher, staff & copy center access, automated backups, pdf management, multi-staff copy center job management, auto-print cover page, auto-email completion notices, internal email server, job archiving, reports, staff & teacher management, school colors tabbed interface, multi-user cross platform Mac, Windows, Web Browser access, onsite server with FM Server v16. 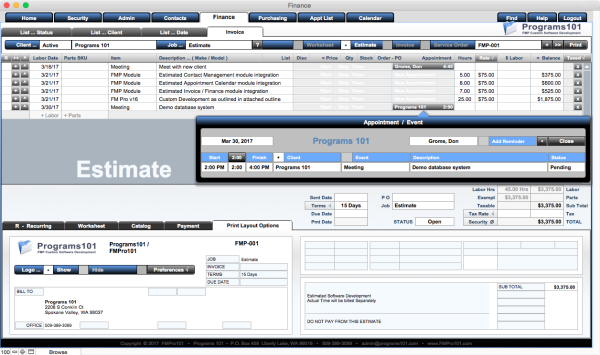 Objectives / Features ... store & service management, track sales, inventory & purchasing, calendar scheduling of field services to customer's equipment, invoices, purchase orders, estimates, worksheets, auto-receive shipped orders, reorder points, inventory reports, staff & customer management, tabbed interface, multi-user cross platform Mac, Windows, iPad, iPhone access, onsite server with FM Server v16.